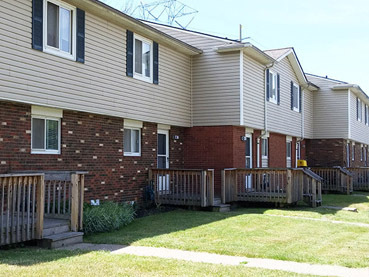 The mission of the Lake Metropolitan Housing Authority is to advocate for, develop and sustain affordable housing opportunities for the residents of Lake County. We support and encourage residents to attain self-sufficiency while maintaining a customer-centered focus. We advocate for, develop and sustain affordable housing. 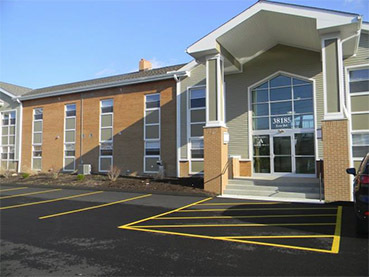 Lake Metropolitan Housing Authority strives to maintain a high level of compliance while providing excellent customer service. Our programs offer low and moderate income households the opportunity to rent affordable, decent, and safe housing. More importantly, Lake MHA provides these households a stable living environment in order for them to work towards economic self-sufficiency. Our mission is to help with affordable, decent, and safe housing. 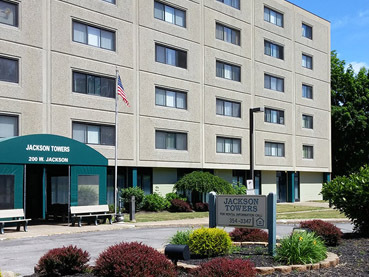 Jackson Towers offers amenities such as a community room, exercise area and community garden. Apartments in this building consist of efficiency and one-bedroom units for senior citizens and disabled persons who meet tenant screening and income qualification criteria. Jackson Towers residents enjoying conversation in the community room. THE PUBLIC HOUSING (PH) WAITING LIST IS NOW CLOSED. WE WILL NOT BE ACCEPTING ANY PH APPLICATIONS AT THIS TIME. 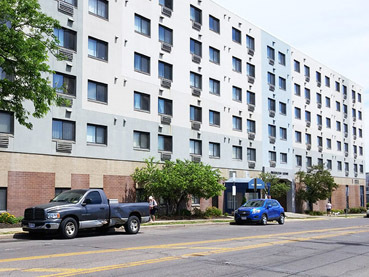 Lake MHA will continue to accept applications for locations at Jackson Towers, Washington Square, and Woodlawn Homes, using the Multifamily Application. While on the waiting list, you are responsible for notifying Lake MHA, in writing, of any changes to your application information, including address and phone number changes. Periodically, you will receive communication to update your information for Lake MHA, as well as when you are selected from the waiting list. Please respond to the communication promptly as instructed. Applications containing duplicate family member information will not be accepted. Only one application per household is allowed. THE HOUSING CHOICE VOUCHER (HCV) PROGRAM WAITING LIST IS NOW CLOSED. WE WILL NOT BE ACCEPTING ANY HCV APPLICATIONS UNTIL THE WAITING LIST RE-OPENS. Once the 1000 applications are processed, you may verify placement on the waiting list by checking the Lake MHA website, lakehousing.org after June 15, 2018. Click on the link that says: “Waiting List Status and Position Lookup.” Enter your social security number to view your confidential position on the waiting list. If you are not in the waiting list look-up, you did not make the waiting list. Due to the volume of calls we expect to receive and for confidentiality, please do not call the office for position look-up, as we will not be able to take your social security number over the phone.